The Draeger SM 1 unit is a self-mixing unit supplied with air and oxygen that automatically mixes the fresh gas needed during the dive. The unit feed a constant mass flow (i.e. 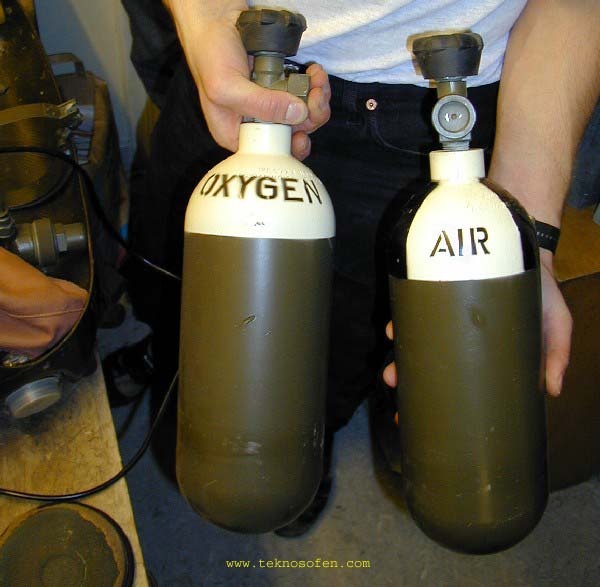 not depth dependent) of oxygen into the breathing circuit. The flow of diluent gas (in this case air) is increased with depth thus resulting in a fresh gas flow that increases with depth at the same time as the oxygen fraction is reduced. The result is that the machine strives to maintain a constant partial pressure independent of depth. 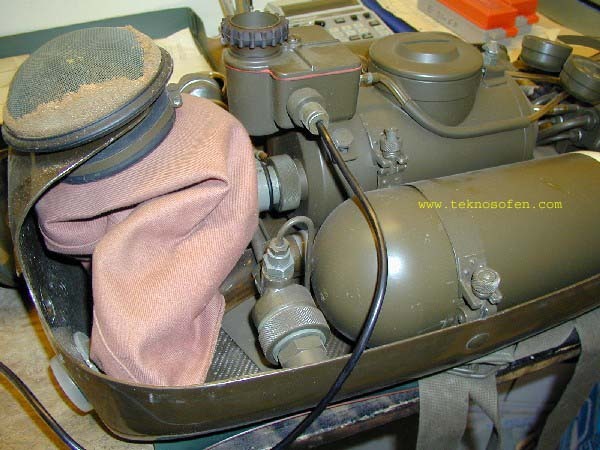 The unit still shows a dependency of the divers' workload similar to the one found in the constant mass flow semi-closed rebreather, see the CMF SCR page. The depth dependency of the diluent flow is still to be investigated, the page will be updated when I have had a chance to pressurize the system. According to Haux, Tauchtechnic, the unit has a constant O2 flow of 2 L/min and an air flow of 2.2 L/min at surface that increases (roughly) linearly up to 4.6 L/min at 40m. The maximum operating depth of the unit is 40m. More details on the design can be found on the Draeger SM tech page. The unit is very neat and significantly smaller than the Draeger FGT and FGG units, the weight of the unit is about 20kg. 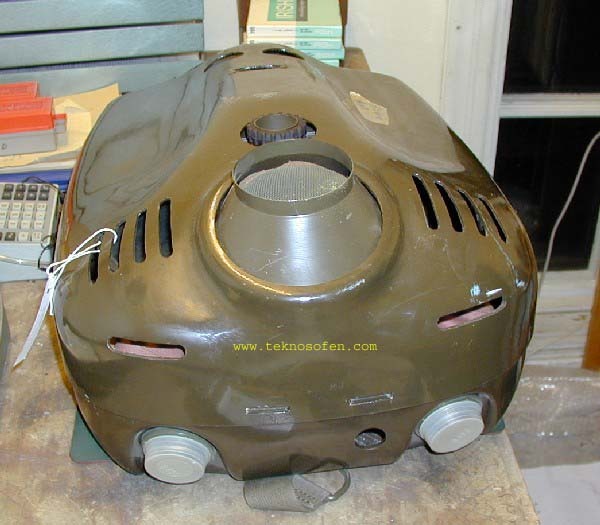 The unit was made for mine clearance and is thus made out of amagnetic materials. The unit in the pictures below belong to the collection of the Swedish Historical Diving Society (see www.shdf.se) and the author hereby expresses his gratitude for the opportunity to photograph the unit. Bubble diffuser above the dump valve, Note the canister fill funnel that has been placed around the diffuser. 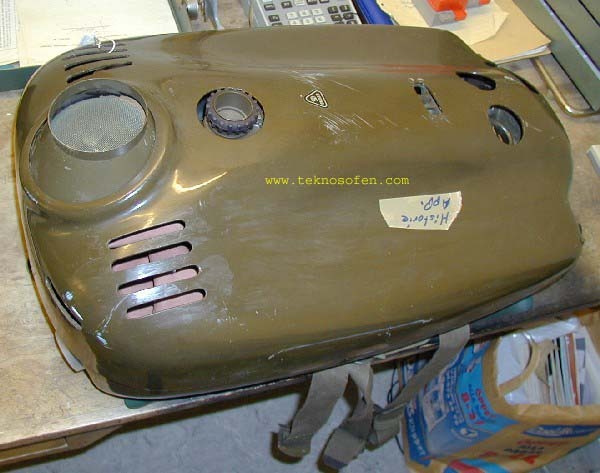 Battery compartment cover, the thing with a rubber ring on the top of the unit. 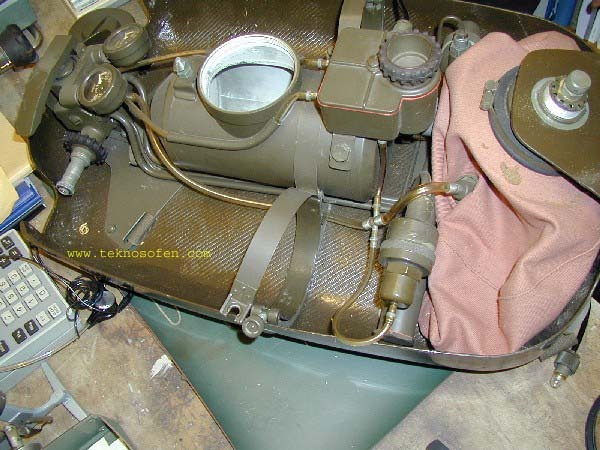 The two tanks valves exit the bottom of the unit but are not visible in this picture. The unit seen from the top. This unit has never been dived nor been filled with soda lime and the plastic lids protecting the breathing hose threads are most likely the original ones. Inside the plastic covers the metal threads are colour coded red/green. 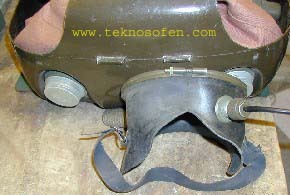 The breathing hose threads are the same as the Norge II but the hoses has radially sealing O-rings instead of the axially sealing rubber rings of the Norge II. The harness is made of soft 40mm fabric with painted aluminium buckles, the design of the harness and buckles is very similar to the FGG/FGT. Bubble diffuser and exhalation bag on the O2 side. 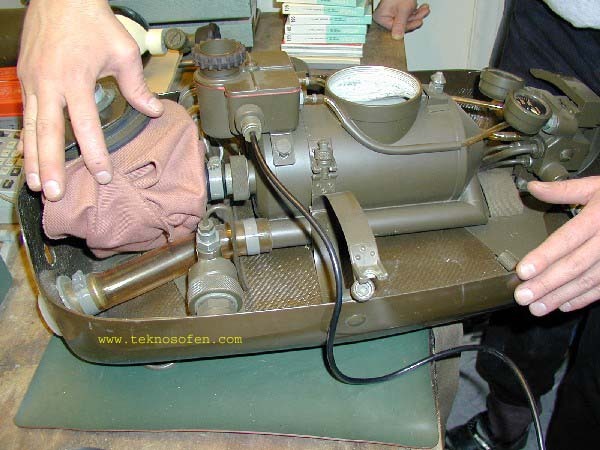 The pressure reducer looks very similar to the one found on the Norge II and the metal tube connecting to the top is likely to be a high pressure one. 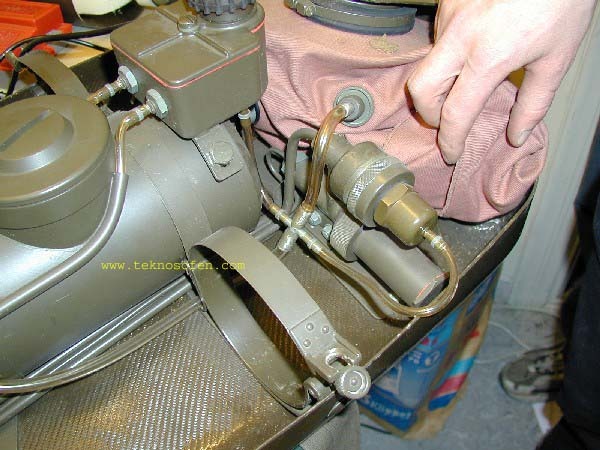 The reduced pressure is fed back to the high pressure manifold at the bottom of the unit. This pressure regulator is not ambient pressure referenced and has a constant output pressure of 9 bars. 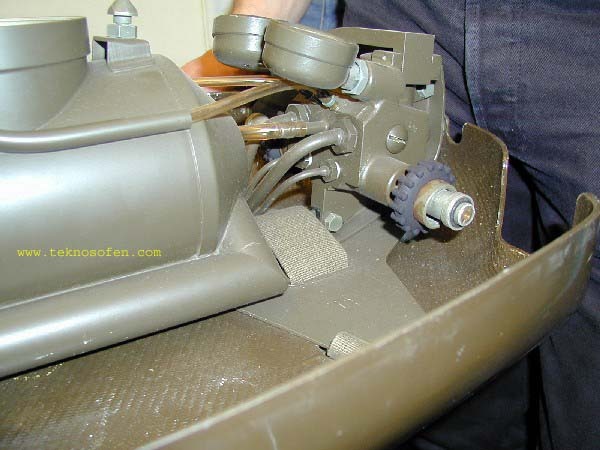 The cable exiting the battery and pressure supervisor compartment leads to the Head Up Display, see below. Detail of the inhalation side with the exhalation flow path visible. 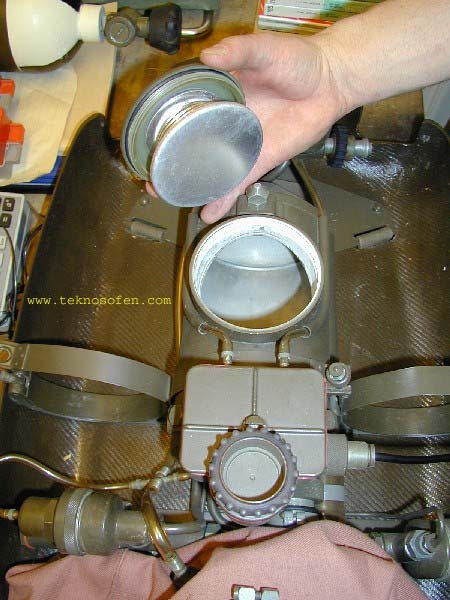 The connection block/manifold with high pressure outlets (the thin tubes) to the secondary pressure reducers. 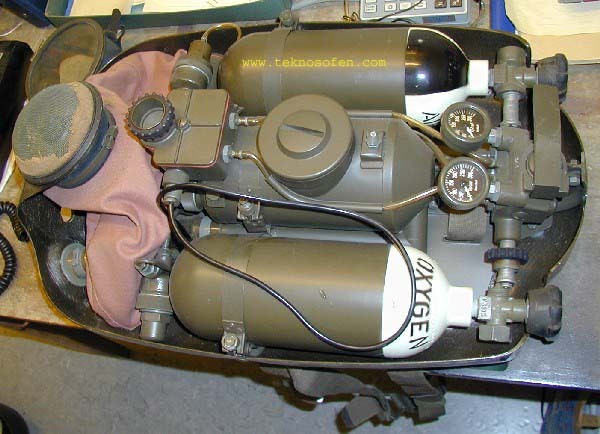 The reduced pressure is fed back to this manifold (through the thicker tubes) where the flow restricting orifices for air and O2 are found as well as the bypass lever. The resulting fresh gas flow is fed to the inhalation bag through the lower transparent tube. Two low pressure tubes, the upper transparent tubes feed pressure to the pressure supervisor. The over pressure dump valve without the bubble diffuser. 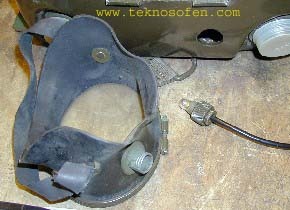 The dump valve design is very similar to the one found in the Norge II (for details see the service manual on the Norge page) but an adjustment knob with locking nut has been added. 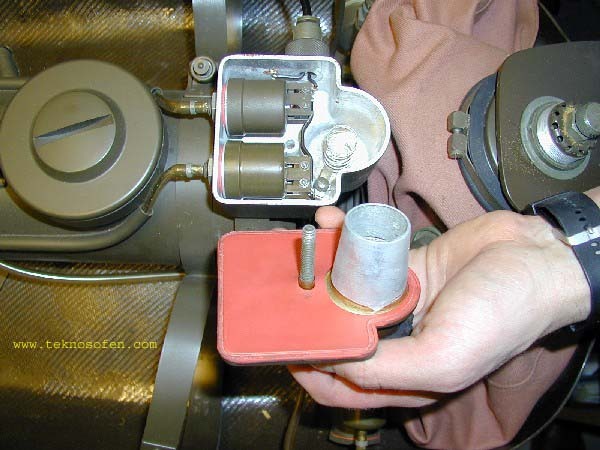 High pressure connection block with bypass lever. 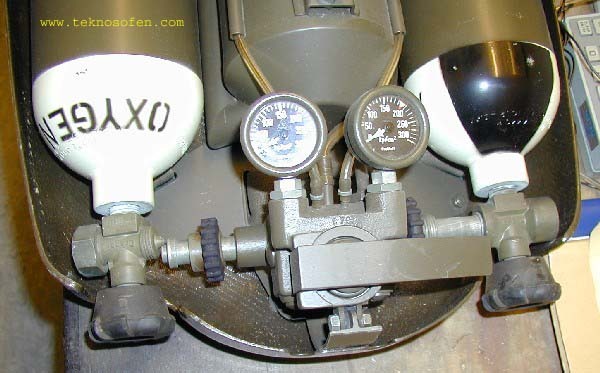 The plastic tubes to the right and left feed pressure to the pressure supervising box, see below, the mid one feed fresh gas as well as bypass gas to the inhalation bag. downward ambient pressure is fed to the pressure reference side of the air/diluent regulator thus increasing the air/diluent flow with increasing depth. The air/diluent regulator is supplied with high pressure gas from the high pressure manifold, the reduced pressure if fed back to the manifold and its flow restricting orifice and bypass mechanism. The air diluent regulator is ambient pressure referenced and the output pressure increases with depth and thus the fresh gas oxygen fraction decreased with depth at the same time as the total fresh gas flow increases. The pressure reduces is a two stage design with an output pressure 0.5 bars above ambient. 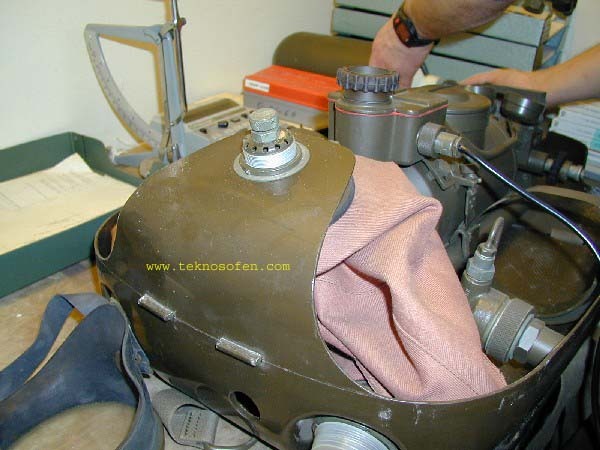 The chamber below the air regulator is the second stage of the pressure reducer. the first (i.e. upper) regulator is likely identical to the O2 one with an output pressure (in this case) 9 bar over ambient. The HUD is a lamp mounted in the divers' mask that is lit when the pressure of any of the two gases fall below a certain threshold. More details of the mask and HUD. 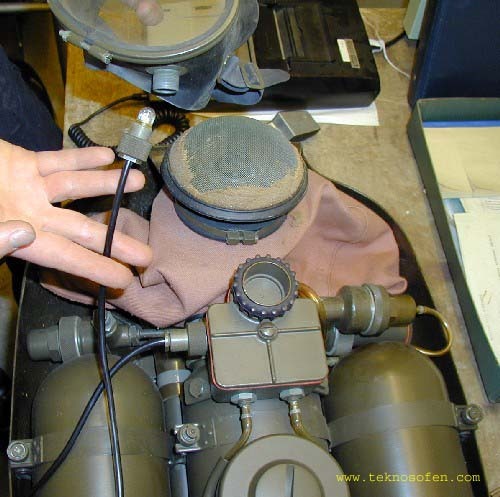 The internals of the pressure supervision compartment. The pressure switches are seen to the right and the battery is mounted to the right. The HUD light is lit when either of the two pressures fall. The scrubber canister has a threaded cover with a spring loaded pressure plate. A funnel (see pictures #1 and #2 above) is used to simplify the filling. The canister is made of thin (dural?) aluminium. the volume is ca 2L. All material on this website is copyright 2003-2004 by Åke Larsson. All rights reserved.